As ChinaFVF 2018 successfully wrapped its 10thshow on Nov. 16-18 in Beijing, officials were proud to report record-setting numbers during the three-day event. 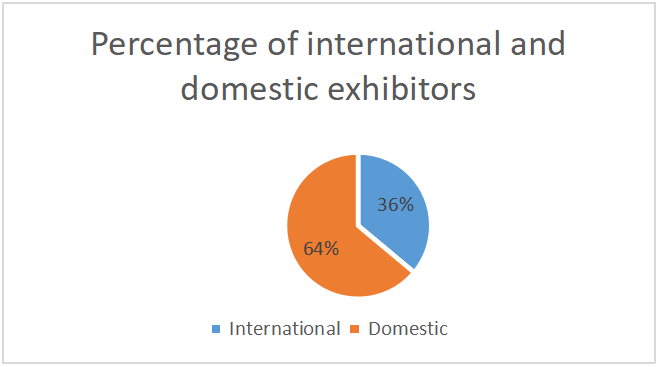 Present by China Entry & Exit Inspection and Quarantine Association (CIQA) and China Great Wall International Exhibition Co., Ltd. (CHGIE), ChinaFVF 2018 experienced significant growth across the board, and as the sole trade show to exhibit the products without permission, further solidified its position as the No. 1 Fresh Show in China. Xinfadi Wholesale Market organized the Xinfadi Pavilion consisting 81 traders with products from China and all over the world to show the hundreds of superior quality fruit & vegetables this time. What are the new varieties recently? Which innovations will lead the future trends? To uncover the mysteries, ChinaFVF set a specific innovation area to exhibit the new varieties and advanced technologies during the exhibition. Based on the voting and feedback by the visitors, the organizing committee presents the top 4 innovation awards to Pear of Xiangyang Ecological Planting Farmers Professional Cooperatives, Rose Apples of Guonong Baoxing, Orange of Hubei Aiyuan Agricultural Technology and Purslane of HV-Rose Agriculture Development Ltd.
With the unveiling of Xinfadi Agricultural College by the honorary principals Mr. Zhang Yuxi, President of XInfadi Wholesale Market and Ms. Cheng Yang, president of China Great Wall, She is officially launched and started working. The college bases on solving three key problems which are product, sales, and talents during the agricultural development process, aiming to enable more farmers to receive better knowledge and business philosophy. Xinfadi Agricultural College has gathered 40 experts from agricultural research institutes, famous brand enterprises, media sectors and accept the Appointment Letter. As the first training course, Xinfadi Agricultural College Brand & Quality Forum tells about how to control quality and build brands by talking about DOlE, Pink Lady, Chile fruit and Australian Fruit. FRESHHEMA, Chaoshifa Chain Store Co., Ltd., JAPAN TAKANO, Australian Citrus Association, New Zealand Apple&Pears Association, Suning, Sandan Store etc., and more than 300 retailers were invited to talk about how to attract and keep customers, how to solve the high loss, low standard and low gross profit? And share the success and failure experience in the fresh industry. International Fruit & Vegetable Exchange Conference for China-South Africa, China-EU and China-Japan were held to interpret and discuss the new policies and new trends, the permission entry process after the adjustment and merger of customs and inspection & Quarantine. As the top category of Japanese fine fruit pyramids, melons, together with the sweet taste and excellent taste experience beyond imagination, constantly refresh consumers' traditional perception of melon. During ChinaFVF, the organizer held the the China-Japan Melon Exchange Conference in conjunction with the Japan International Agricultural Exchange Association and Shen Zhen XI Yu Huaguoshan. The top experts from China and Japan were invited to showcase, exchange, discuss, taste and try the top Chinese and Japanese melons. .
Henan Lingbao Apple and Shaanxi Luochuan Apple, therepresentatives of high-end apples in China were held the promotion release. Lingbao Apples focused on the introduction of Golden Apple to show its superiority. The fruit is well-formed, the color is bright red, the flesh is tight, crisp and juicy, the sweetness is moderate, and the taste is excellent. It can be called the aristocrat in the fruit. Relying on the golden apple, the tasting party also introduced the “selenium-free fruit”, “functional fruit” and “cultural fruit” to the participants, and conducted a live auction. Luochuan Apple officially announced the plan and development of the “green” to organic upgrade. Adhere to the circular development of “fruit, livestock, marsh, grass and water”, comprehensively build a green, organic and ecological apple production base, transform traditional production methods into modern equipment and organic production, and strive to promote the transformation and upgrading of apple production. After the brand and e-commerce companies have gone from the offline to the online and then returned to the offline, the development of fresh business has experienced several changes and pains. Nowadays, the marketing and management of fresh fruits and vegetables, eventually returned to the community. The “big names” of the fruit micro-business alliance discussed the latest developments and business concepts of brand, quality and community group purchase. Mr. Chen Lei President of Dehezi (Beijing) Articial Environment Technology Co., Ltd.
Dehezi participated in ChinaFVF five years. She is a platform for our producers to connect with the demand. I think she played a very important role. In particular, the newly established Xinfadi Agricultural College will provide us with more business opportunities. Mr. Hu Xing, President of HV-Rose Agriculture Development Ltd. This is my first time to participate in ChinaFVF. It is a very successful show for me to promote health concepts, my companies, products and sales. We will be exhibiting again next year. 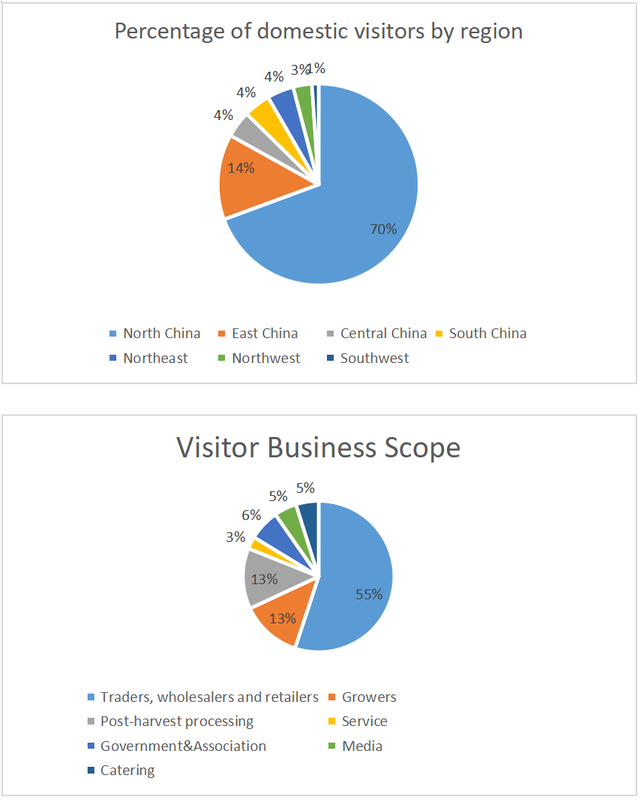 During ChinaFVF, the number of professional visitors was large with clear procurement requirements. We received buyers from all over the country and overseas. They proposed specific customization requirements and we proposed various solutions on side. The communication was also very direct and efficient. The effect of this exhibition is very good. 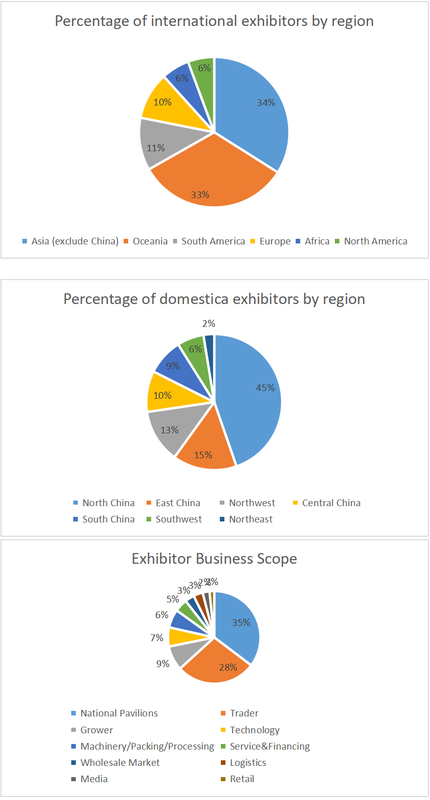 It's our sixth time here taking part in ChinaFVF and we have set a new record with more exhibitors in the exhibition group. 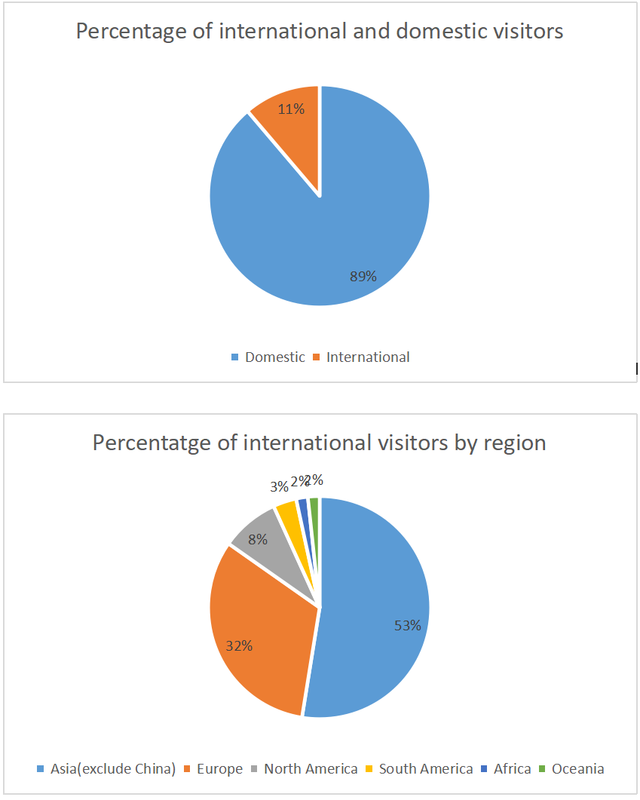 The visitors, especially the Chinese buyers, are very interested in our products and have received a lot of product consultation and order requirements. China is a huge market, and we hope to promote more quality, safe and delicious fruit and vegetable products. I visit ChinaFVF as a buyer in the past years, I can always find the new foreign products I want. This year, as a member of Xinfadi Pavilion, I feel the huge demand for imported fruits from the retailers, especially the huge development potential of community group purchase in China. There are many varieties with product suppliers and agents in various countries. It feels awkward. It demands fresh and safe for fresh business. I found some ideal, high-quality partners in ChinaFVF, and will be in contact later. Hema is Alibaba's new retail format for the complete reconstruction of offline supermarkets. It is a supermarket, a restaurant, and a fruit & vegetable market. It can also use big data to make personalized recommendations for consumers' purchase behavior. Based on this concept, we were invited to the Fresh Food Summit Forum of ChinaFVF and contact with many suppliers on site.